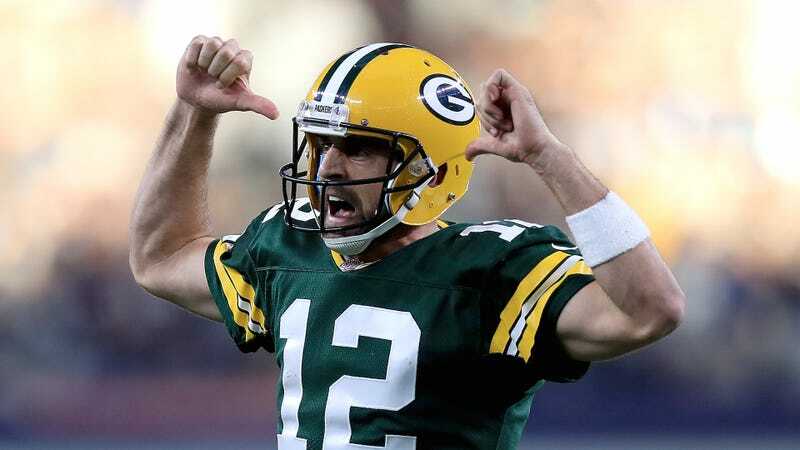 Eight weeks after he went down with a broken collarbone and seemingly took the Packers’ playoff hopes down with him, Aaron Rodgers has been medically cleared to return—with, of course, those playoff hopes still alive and now more fearsome than ever. The Packers are 7-6 and have the Panthers, Vikings and Lions left on their schedule. The blank hashtag at the end of his message represents the possibilities for the future, most likely a future in which Rodgers rips away hope from the rest of the NFC.